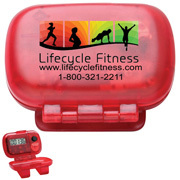 Those in the health business are required to promote healthy lifestyles, which is why these printed pedometers make a smart promotional product choice. Designed primarily to monitor and count steps taken throughout the day, they help ensure weight loss goals are met. 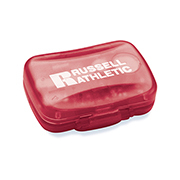 As promo merchandise, they are quite visible and help consumers associate the brand to health. Browse Innovation Line’s collection of printed pedometers and know you are getting the best value products in the market. 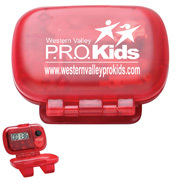 We offer both single and multi function pedometers in different shapes and colors. Check out items on sale to enjoy more value for your money. 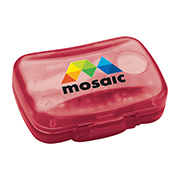 Innovation Line is the top online B2B supplier of promotional products in the country. We are trusted for our experience and expertise. Contact our sales team for more details.